Our Beautiful Bromelia Plant is a splendid arrangement of colourful bromelias presented in a stylish pot (colour may vary). Bromelias are easy to look after and make a perfect gift to send that is perfect for all occasions. Bromelias are a long lasting plant that need little care. They flower all year round and make a perfect addition to any home. 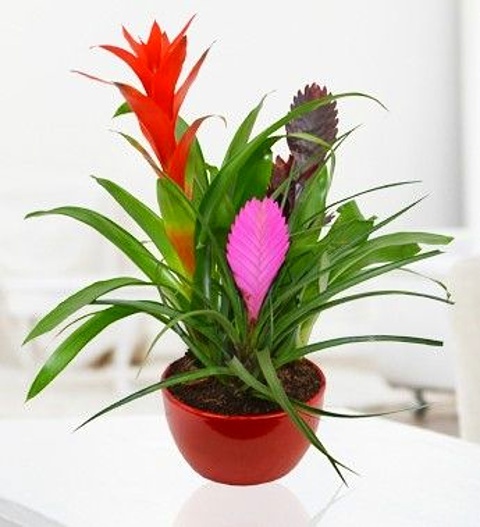 The Bromelia plant is available for UK next day delivery and comes with a FREE box of fine Chocolates. Chocolates may contain nuts.